During his latest Mann Ki Baat radio address over the weekend, Prime Minister Narendra Modi cited the example of two Indian IT professionals in the US who have developed the ‘SmartGaon’ mobile app that connects villages internally and with the wider world. 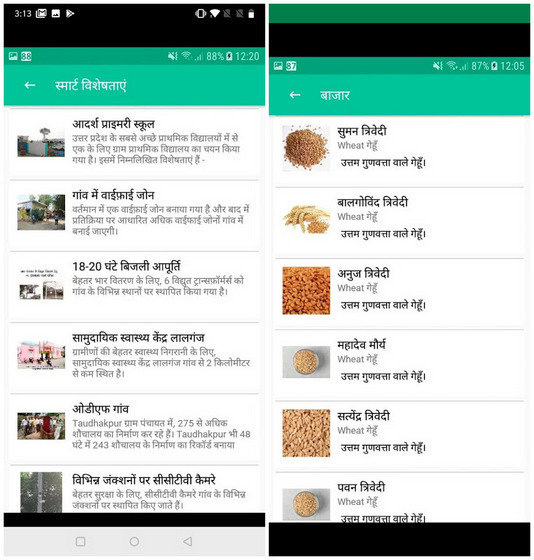 Developed by US-based Yogesh Sahu and Rajnish Bajpai, “the app also serves as a one-stop information centre and a marketplace for farmers”, according to IANS. 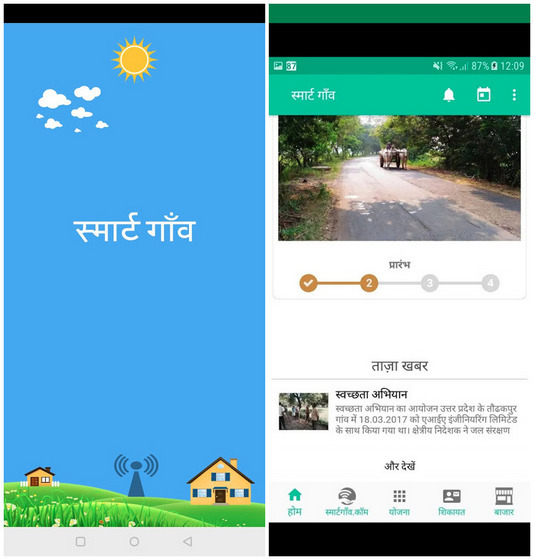 “The SmartGaon app is not only connecting the villagers with the whole world but now they can obtain any information on their own mobile phones. Residents of the village Taudhakpur in Rae Bareilly, the village chief, District Magistrate, CDO and every one joined in to create awareness amongst the masses”, said the Prime Minister during his monthly radio address. The app has other key features such as a villagers’ directory, news and events calendar, health and information center. Besides, the app’s ‘Gram Mart’ feature has created a popular marketplace for farm produce. “This app is actually bringing in a digital revolution in the village”, Modi said. Once installed, the app asks for a whole bunch of permissions, including Device ID, Call information, storage storage access (read/write), USB storage access, Phone status and ID info, and access to all files on the device, including audio, video, photos, documents and more. We contacted Smartgaon and My App Center Inc to understand why so many permissions are needed, however, we were informed that the person who could speak on this point is not available. We will update our article with the responses from the companies as soon as we get them. SmartGaon seems to the latest in a series of apps developed by ‘My App Center Inc’. While many of the apps developed by the company seems to be legit on the face of it (like a support app for Mumbai-based Aurea Aviation), most of them have less than 100 downloads, with many in the single digits. One of the only exceptions seem to be the free SmartGaon app, which had 5000+ downloads at press time, thanks largely, one would imagine, to the PM’s endorsement. My App Center’s other apps are disconcerting too; ‘Brahmin Business’ that seems to have been developed on behalf of a organization called the Bramhin Business Community Development (BBCD), which describes itself as “an initiative to encourage & support the Businesses run by Bramhin (sic) Entrepreneurs”. The app has only 1000+ installs, but managed to conjure up a 4.6 rating nonetheless. Most of the apps (and their descriptions) also seem to be littered with several grammatical errors, which doesn’t instill a lot of confidence either. Many of them also seem to follow the same app UI template, which hints at a low-cost development model. 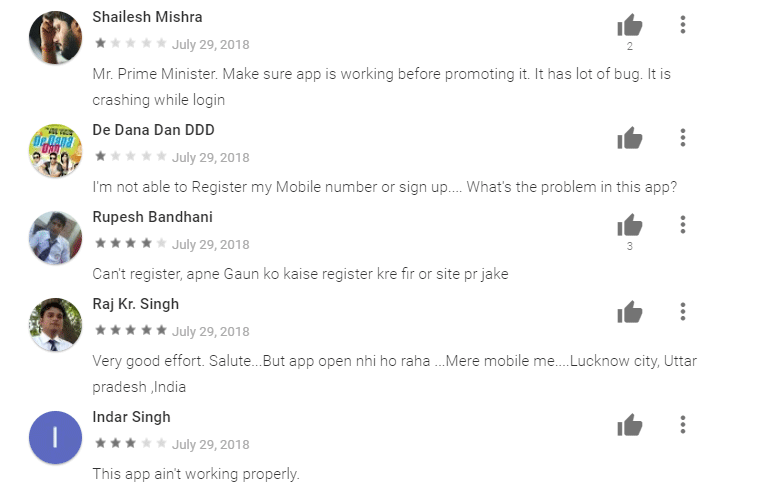 Now that the spotlight is squarely on the new app, it will be interesting to see whether it will be able to deliver what it promises to, or if will be yet another of those apps like Patanjali’s Kimbho that had to be withdrawn from the Play Store following major technical issues and scary security loopholes.